The presidential debates have been transformed into “a choreographed and carefully scripted farce that prevents honest discussion of the real issues our country faces,” Green Party presidential candidate Jill Stein declared in an op-ed on Tuesday. 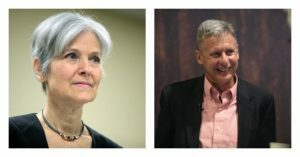 Citing a recent Suffolk University/USA TODAY poll that showed more than three-quarters of likely voters want Stein and Libertarian Party nominee Gary Johnson to participate in debates, the Green Party candidate blasted the Commission on Presidential Debates (CPD) as a “two-party cartel” that curtails democracy. 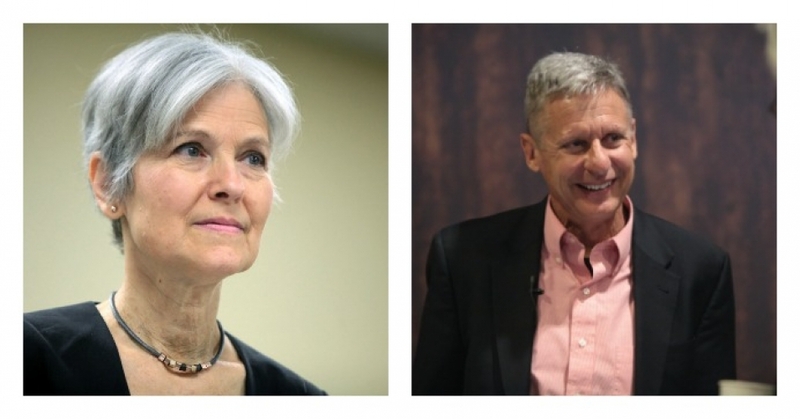 A recent Morning Consult poll similarly found that more than half of registered voters believe Johnson should partake in the debate scheduled for Sept. 26 and 47 percent believe Stein should. The CPD requires that candidates poll at 15 percent or higher in five national polls to be included in the debates. The RealClearPolitics average currently has Johnson polling around eight percent and Stein hovering at three percent. To that end, she called on both Republican nominee Donald Trump—who criticized the 15 percent threshold in 2000—and Democratic nominee Hillary Clinton to “stand for open debates and American democracy” by demanding four-way debates in 2016. Stein’s campaign plans to reiterate this demand on Thursday, at a protest outside Clinton’s Brooklyn campaign headquarters. People already know about Clinton and Trump. Both have a ton of money at their disposal, and they have received a lot of free exposure from the mainstream media, even before the primaries started. But just because someone is familiar doesn’t mean they have your best interests in mind. The two establishment candidates don’t want to include third party candidates in the debates because they know if they do, they might lose when you realize you have better choices. A RootsAction petition calling on network TV executives to include third-party candidates in the debates currently has more than 18,000 signatures.